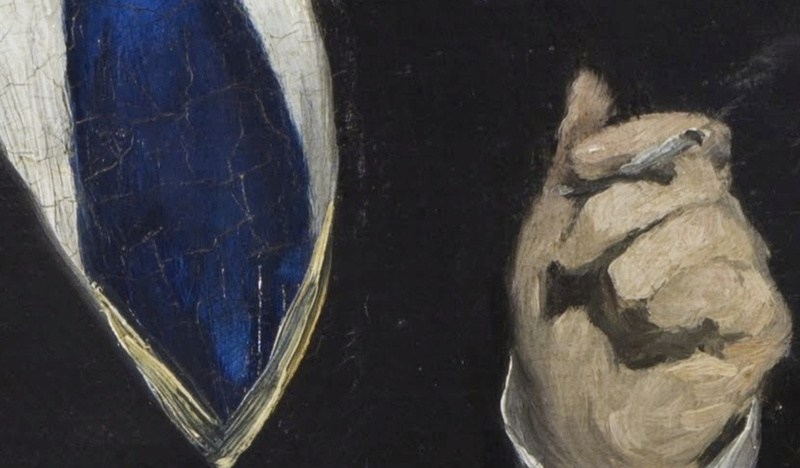 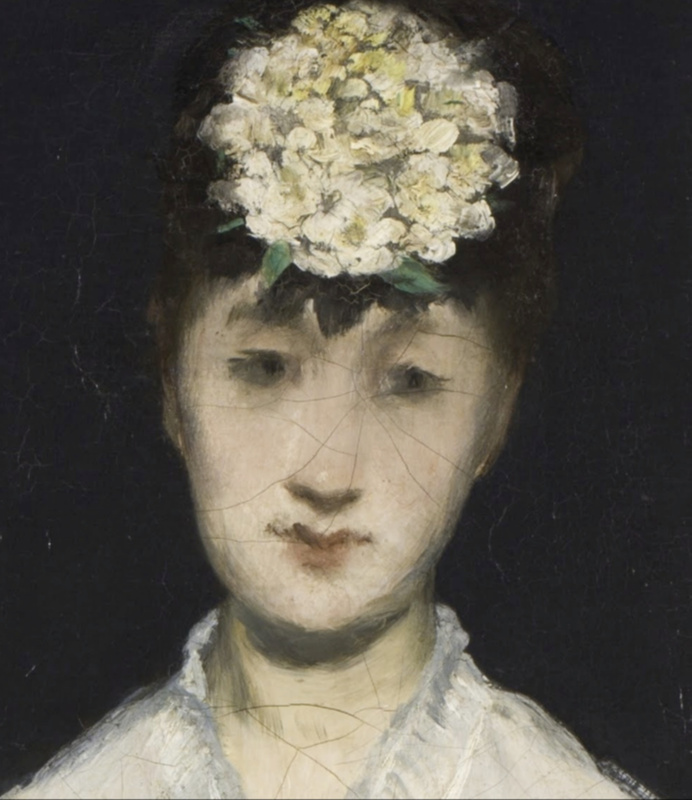 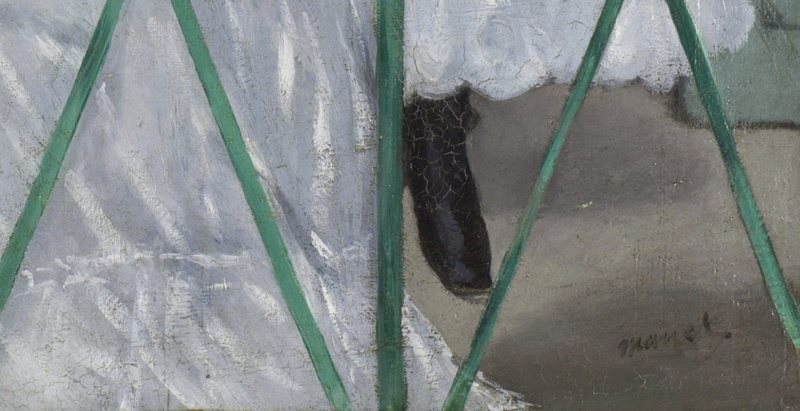 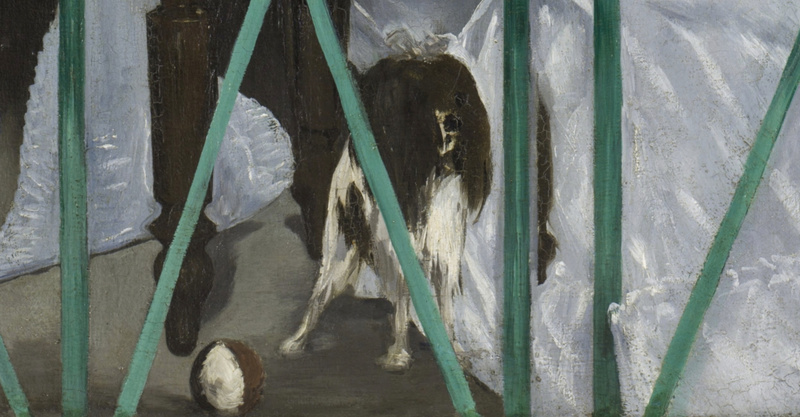 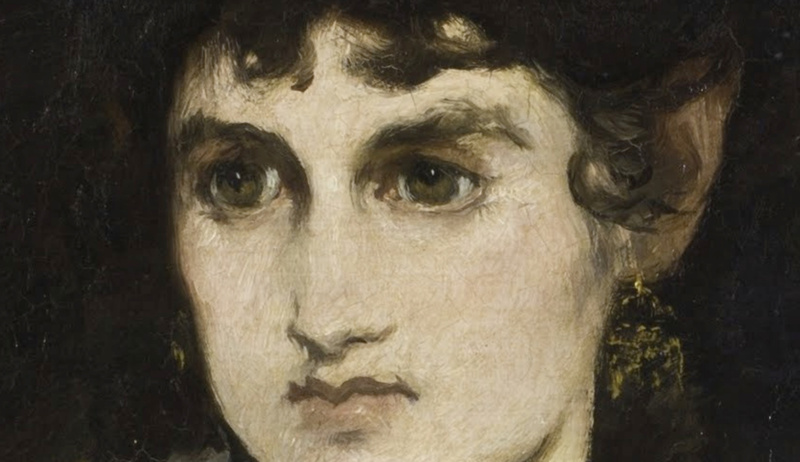 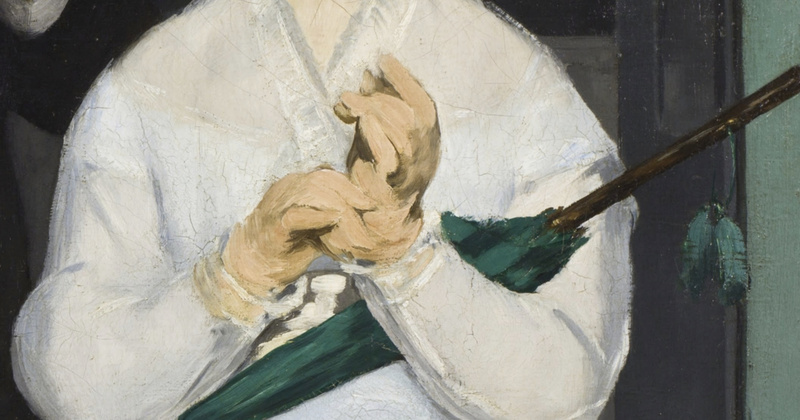 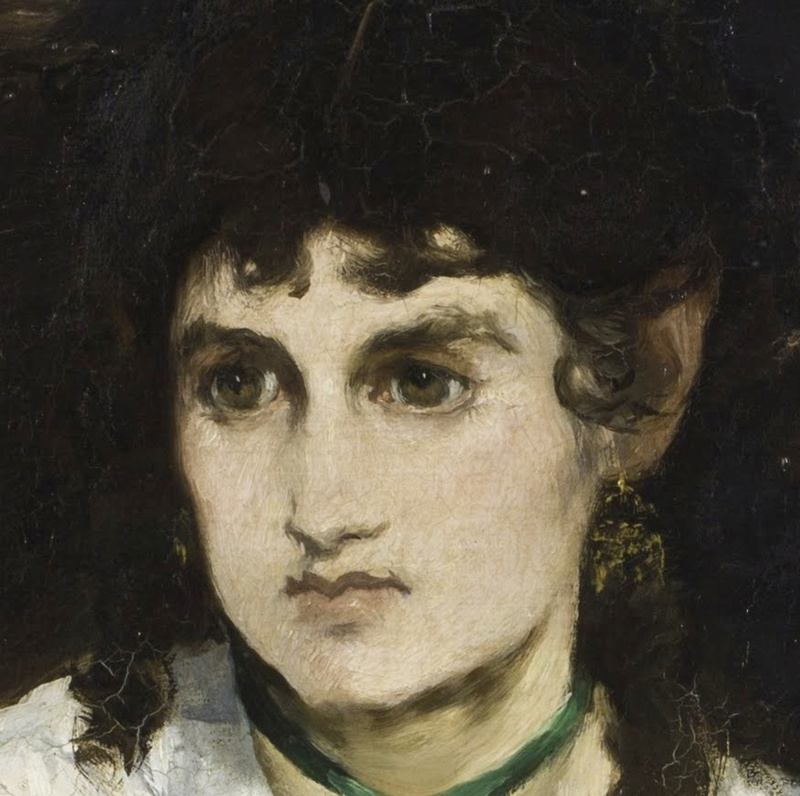 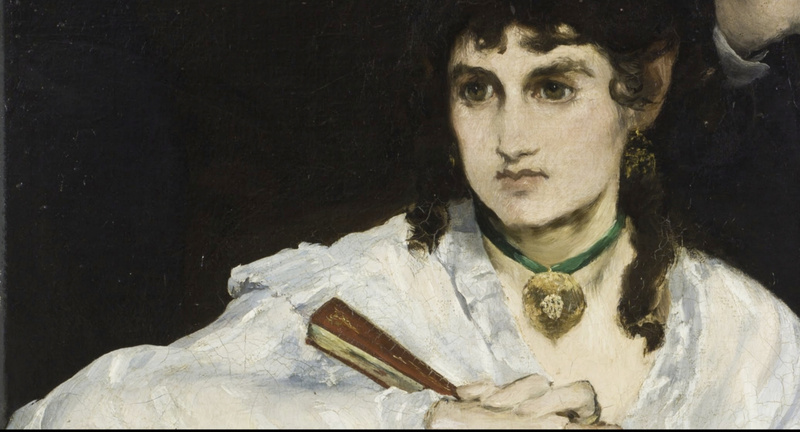 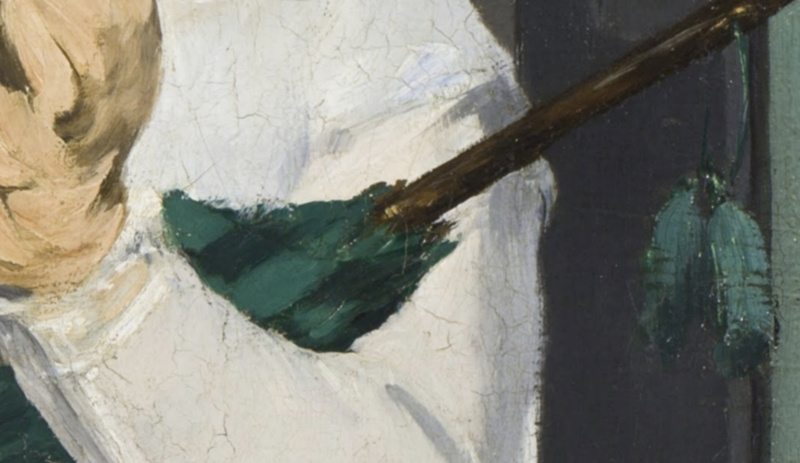 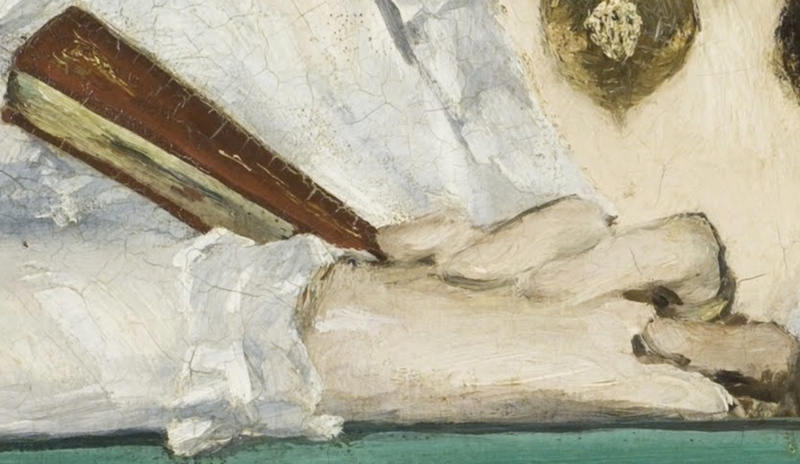 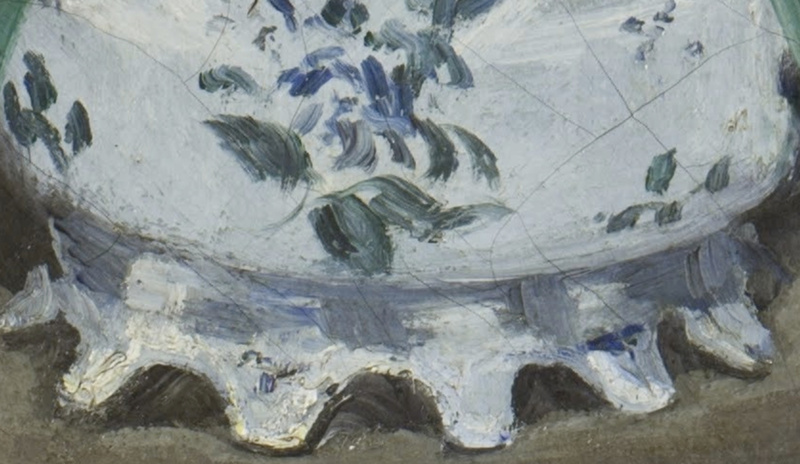 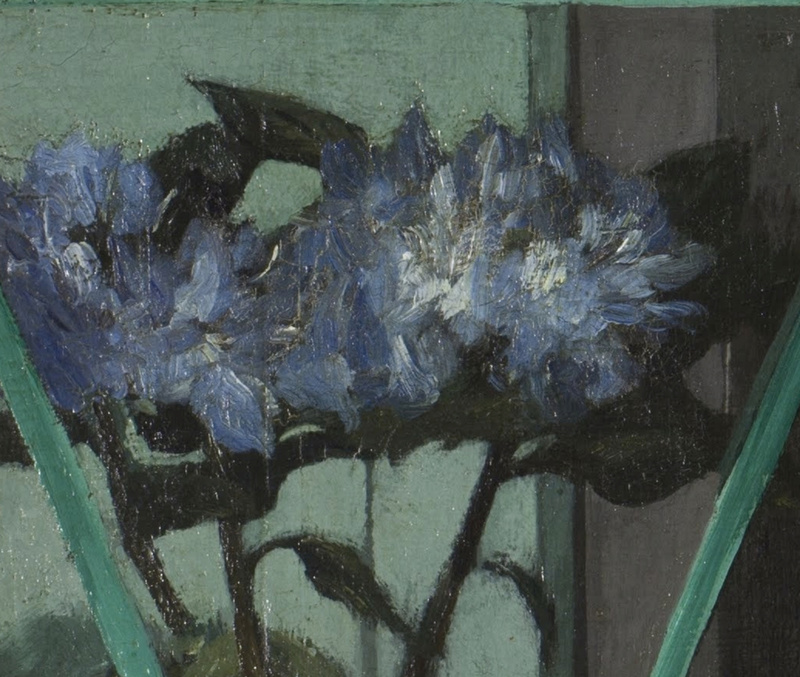 Manet deliberately avoided any sense of connection between the figures, treating them more like objects in a still life than living people. 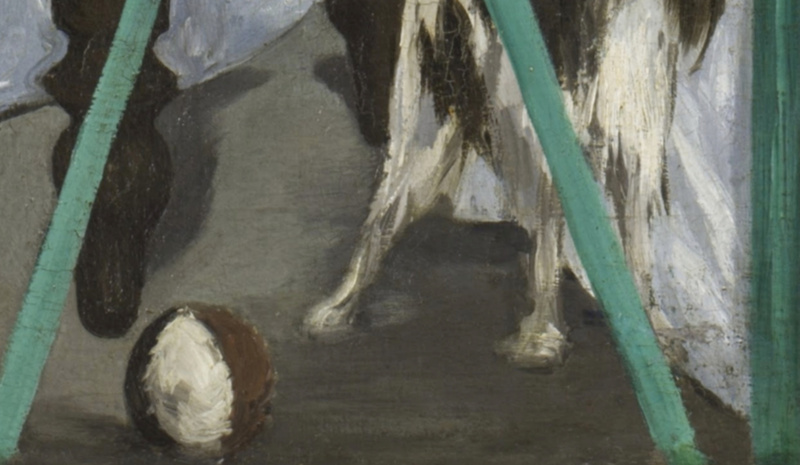 None of them looks at the others. 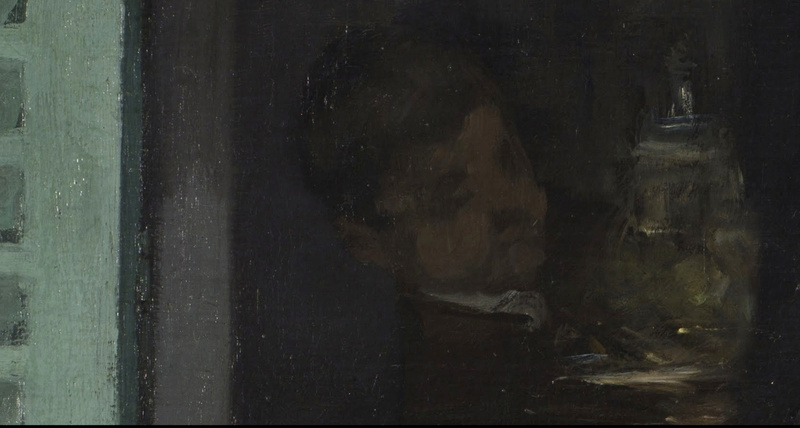 The subjects seem to be disconnected from each other: while Berthe Morisot, on the left, looks like a romantic and inaccessible heroine, the young violinist Fanny Claus and the painter Antoine Guillemet seem to display indifference… Just behind the railings, there are a hydrangea in a ceramic pot, and a dog with a ball below Morisot’s chair. 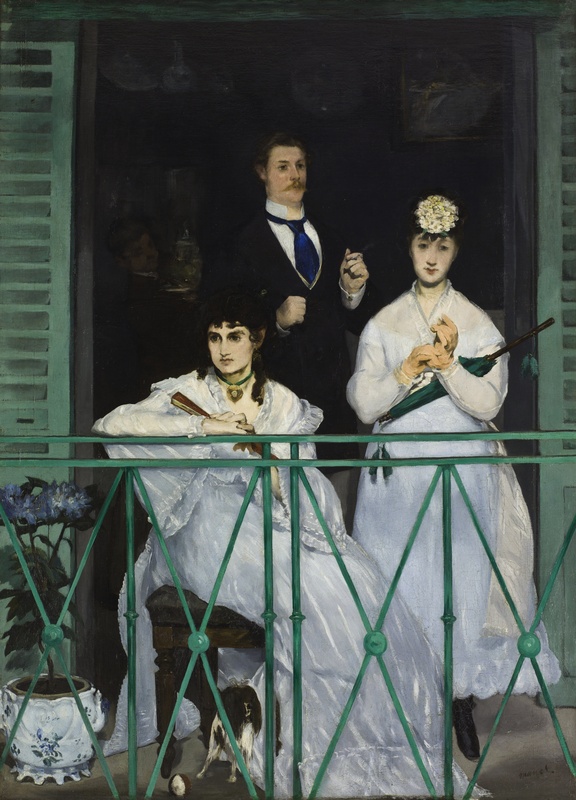 The Balcony was exhibited at the Paris Salon of 1869, and then kept by Manet until his death in 1883. 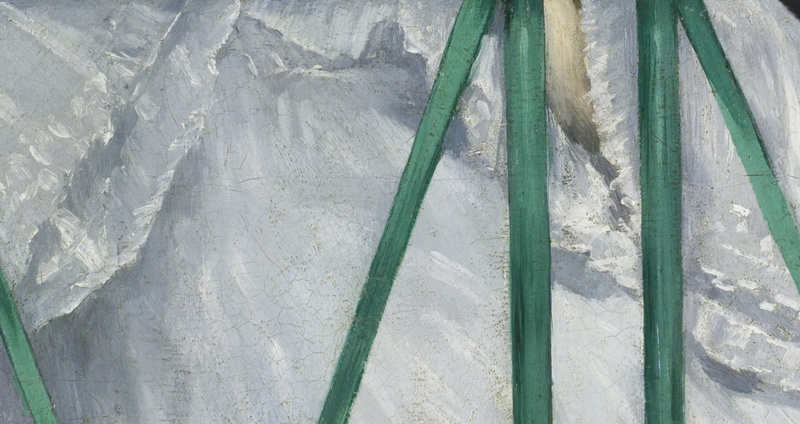 It was sold to the painter Gustave Caillebotte in 1884, who left it to the French state in 1894. 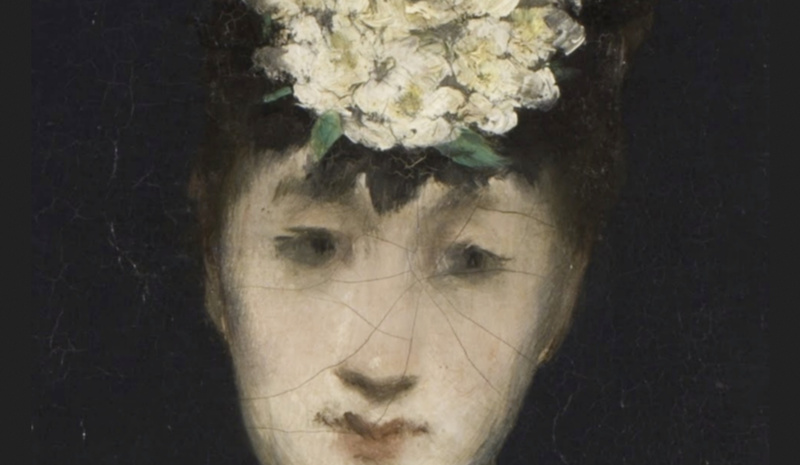 It is currently held at the Musée d’Orsay, in Paris. 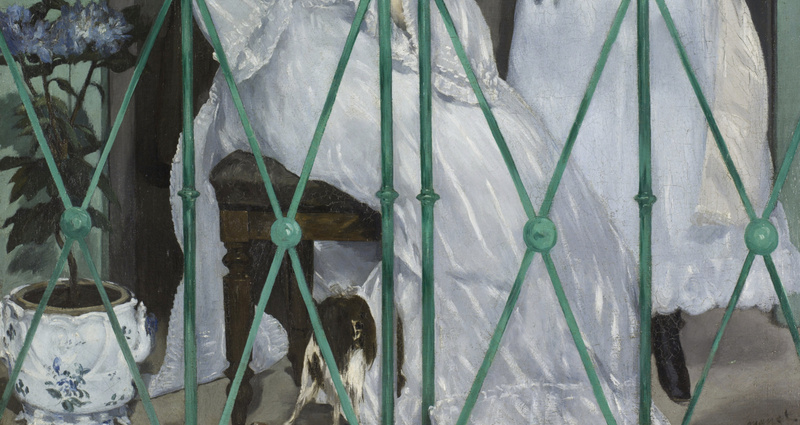 Edouard Manet, “The Balcony”, Musée d’Orsay, Paris, http://www.musee-orsay.fr/index.php?id=851L=1tx_commentaire_pi1[showUid]=7121&no_cache=1(accessed June 24, 2018). 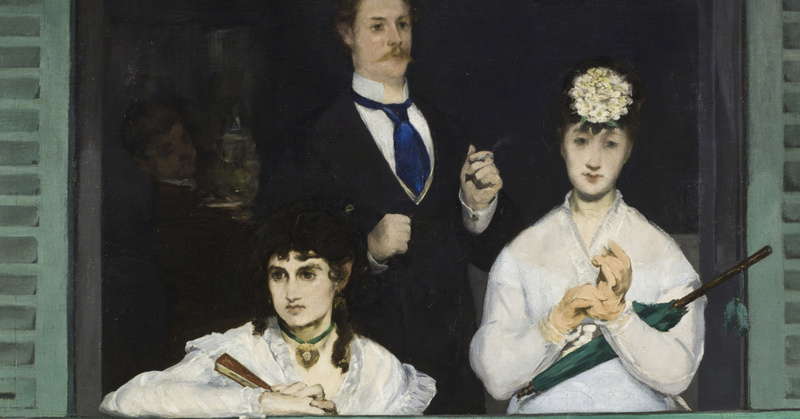 Dr. Beth Harris and Dr. Steven Zucker, “Édouard Manet, The Balcony,” in Smarthistory, November 20, 2015, https://smarthistory.org/edouard-manet-the-balcony/(accessed 28 Sept 2018). 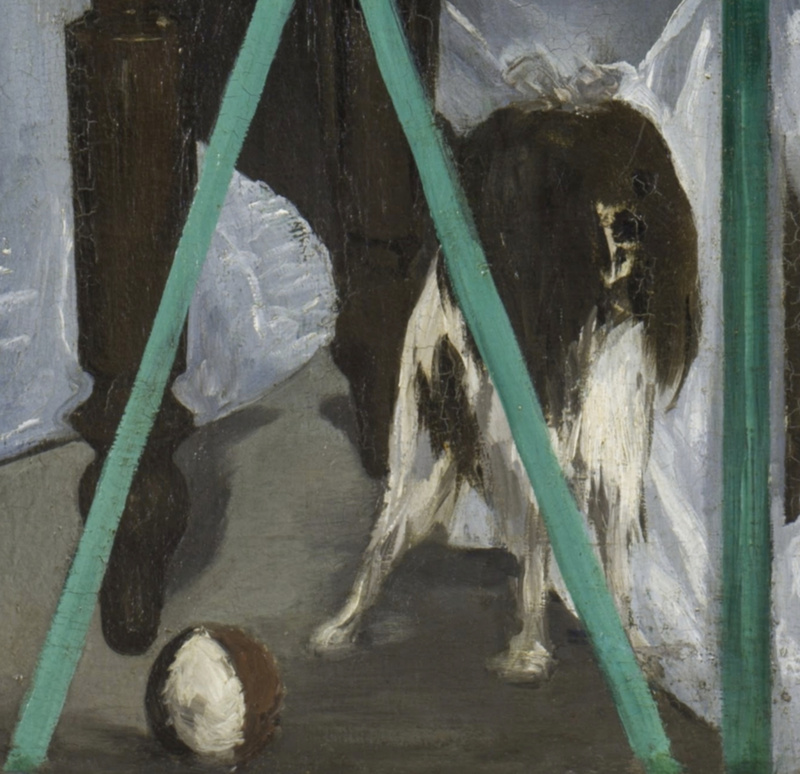 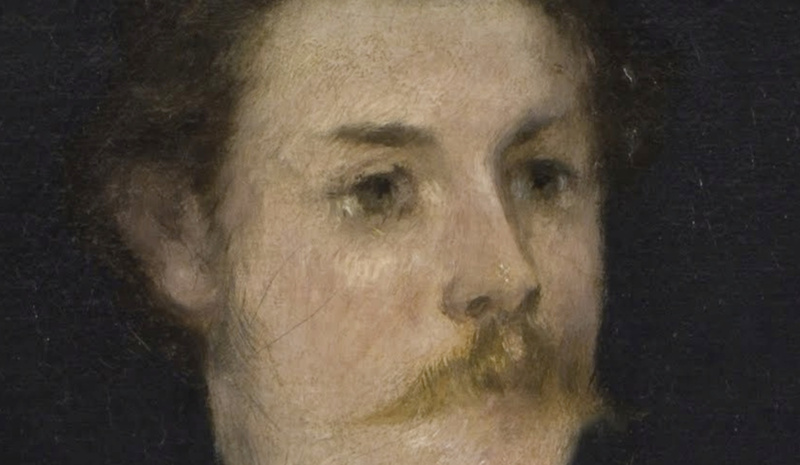 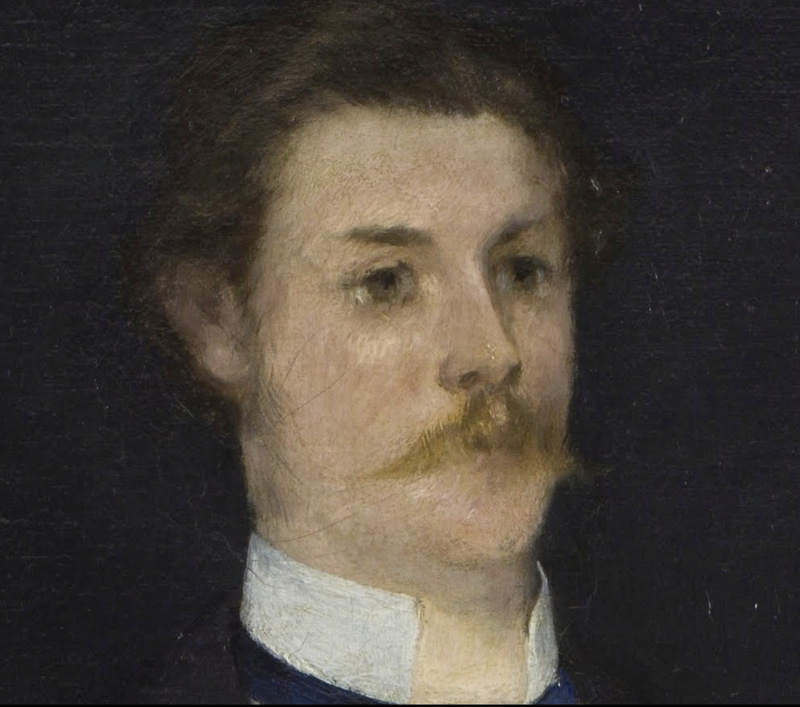 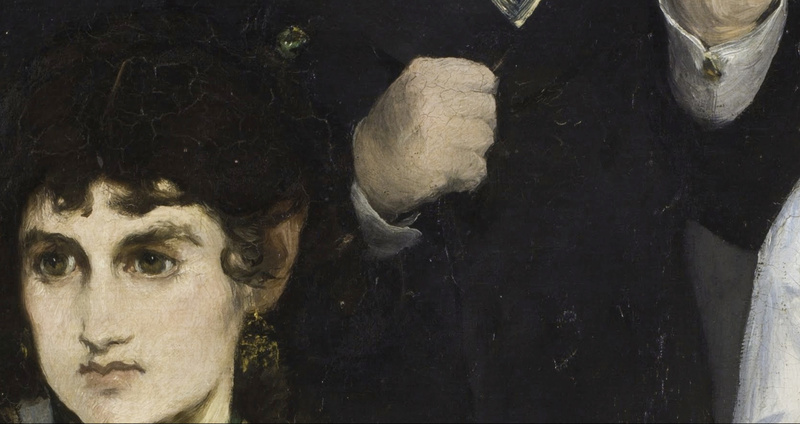 Edouard Manet, “Édouard Manet and His Paintings”, http://www.manet.org/(accessed June 23, 2018). 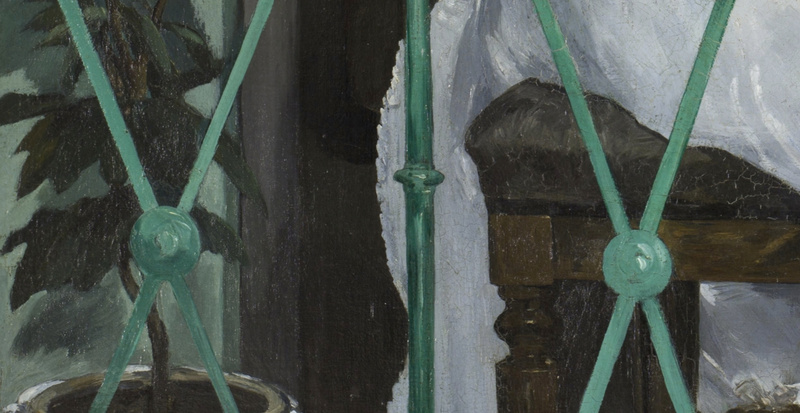 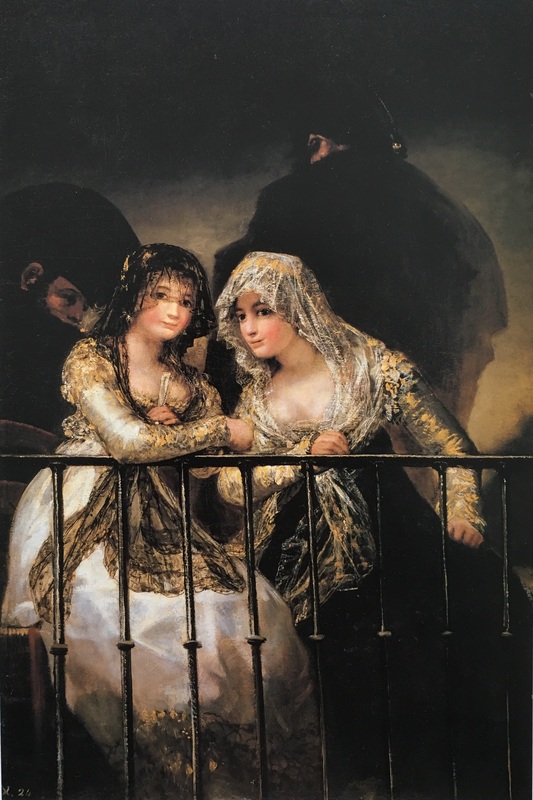 Wikipedia contributors, “The Balcony (painting),” Wikipedia, The Free Encyclopedia, https://en.wikipedia.org/w/index.php?title=The_Balcony_(painting)&oldid=843091653 (accessed June 25, 2018). 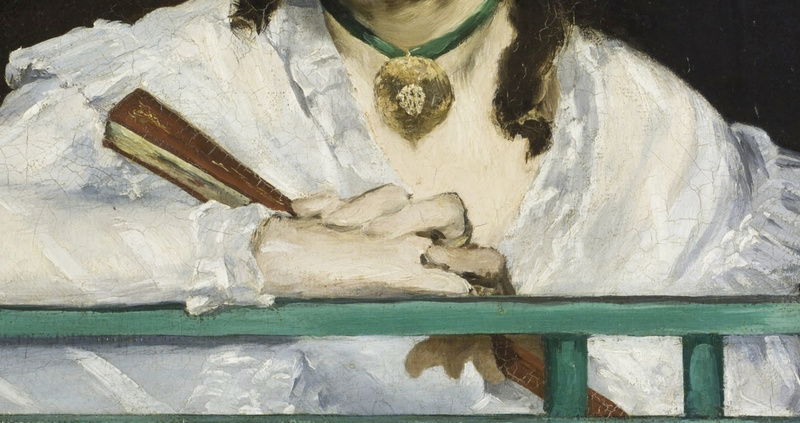 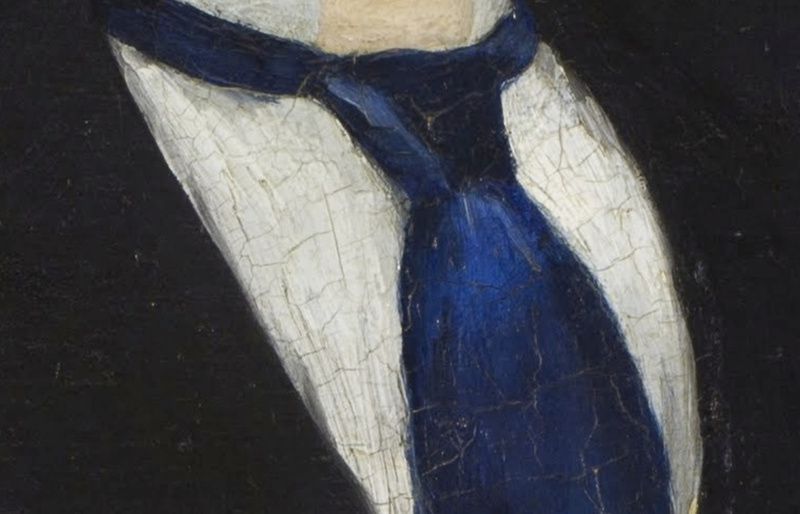 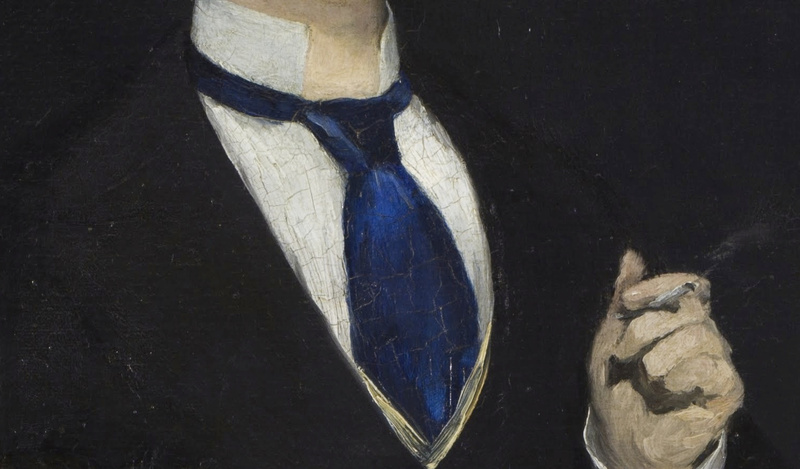 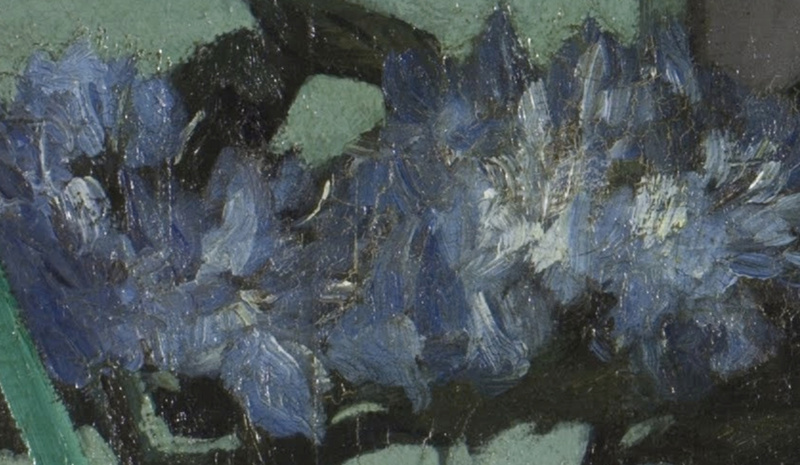 Wikipedia contributors, “Édouard Manet,” Wikipedia, The Free Encyclopedia, https://en.wikipedia.org/w/index.php?title=%C3%89douard_Manet&oldid=846867856 (accessed June 25, 2018). 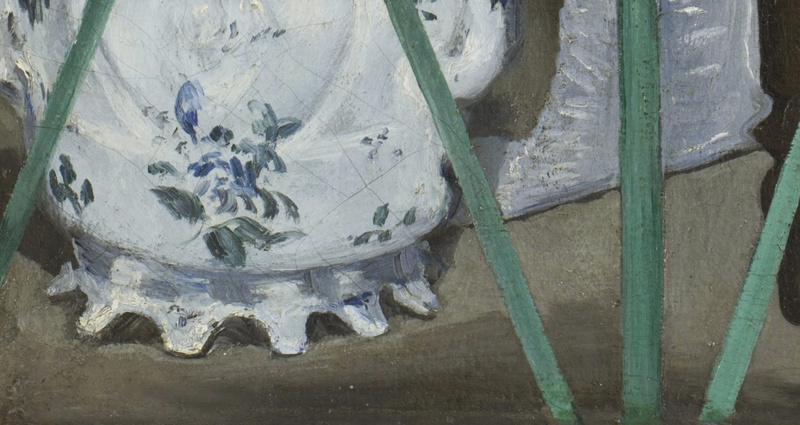 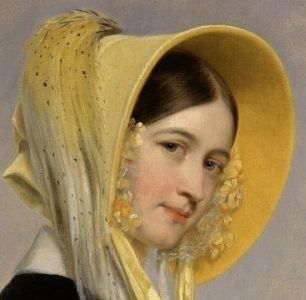 Its good to know the history behind the painting, thanks.